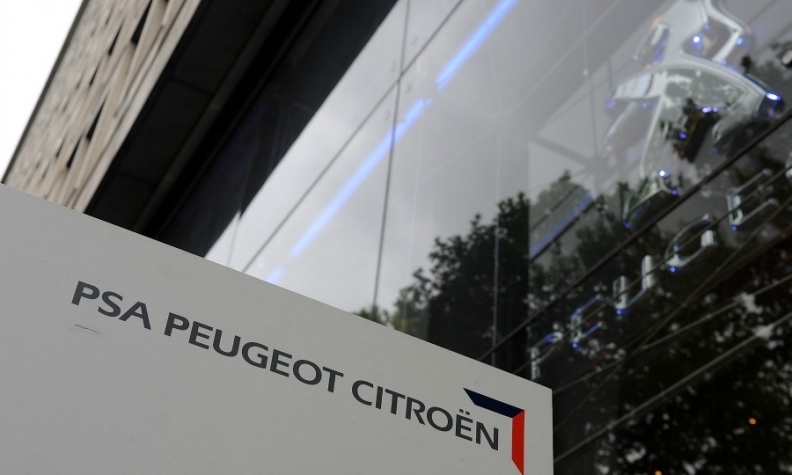 PARIS (Reuters) - PSA/Peugeot-Citroen could convene a board meeting to discuss business opportunities in Iran on Wednesday, a source close to the company said ahead of a two-day visit by Iranian President Hassan Rouhani. Rouhani is heading a delegation of ministers and Iranian business leaders visiting Italy and France this week in a first official visit to Europe after sanctions were lifted on Iran. Rouhani is expected to sign deals and agreements in various sectors worth several billion dollars as Iran seeks to revamp its economy after the sanctions. Before leaving Tehran, Rouhani was quoted on Iranian state TV on Monday as saying he expected deals with PSA and Renault. "Important contracts in the car sector are being prepared and are likely to be signed on this trip. Contracts with Peugeot and Renault are likely to be signed," Rouhani was quoted as saying. Iran's Press TV said on Sunday that Iran Khodro and PSA are likely finalize a 500 million-euro ($541 million) joint venture to produce the Peugeot 2008 small crossover, 208 subcompact and 301 compact in Iran. PSA -- the biggest-selling European carmaker in Iran prior to sanctions -- declined to comment on a possible board meeting about relaunching its automotive business in Iran. "Talks are continuing, we do not comment on their progress," a company spokesman said. PSA has been struggling to negotiate a manufacturing deal with partner Iran Khodro, the country's largest automaker, amid lingering anger over its abrupt withdrawal in 2011. For PSA, which is racing to expand outside Europe after a brush with potential bankruptcy, reclaiming Iran is critical. The company said recently it was counting on Iran for about 400,000 annual vehicle sales by 2020. Meanwhile a source close to Renault said on Monday that the carmaker hopes to sign an memorandum of understanding (MOU) this week with at least one of its existing local partners, Iran Khodro and SAIPA, to market additional models in the Iran. Renault has already begun assembling its no-frills Sandero compact in Iran, in addition to the original Logan sedan, and aims to introduce more models such as its Clio subcompact and Captur small SUV. Renault and PSA are not alone in their attempt to conquer the Iranian market, as Volkswagen and Daimler are also trying to break into it. Renault sales boss Thierry Koskas said last week that Iran's car market has the potential to reach sales of 1.5 million to 2 million vehicles a year.